After updating the adidas.com/yeezy website with an image of fourteen different color-swatches, adidas Originals just confirmed via Twitter that the Yeezy Boost 750 will release on October 15th. While the brand stays mum on the particular colorway that is set to drop, all signs point to the “Light Brown” colorway that, like the last release, features a glow-in-the-dark sole. As all Yeezys go, this upcoming Yeezy Boost 750 will be a hotly coveted item, so stay tuned to Sneaker News as we bring you info regarding the official store list and more. Update: The adidas Yeezy Boost 750 “Chocolate” releases on October 15th, 2016 for $350. 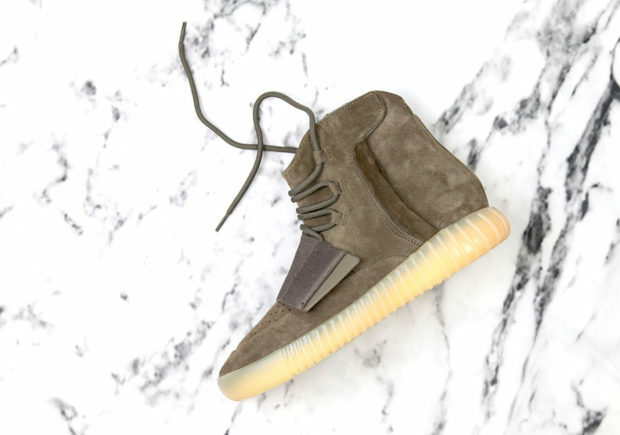 Sign-ups for the Yeezy Boost 750 are up now on the adidas Confirmed App.